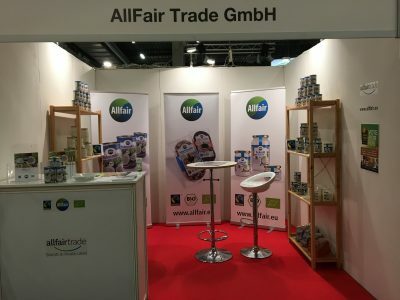 Visit us at Biofach 2019 Stand: 9-633! We’re a very proud new member of ESMA – European Sales and Marketing Association. Active in 34 countries, ESMA is an outstanding platform for manufacturers and distributors to connect and share market insights. 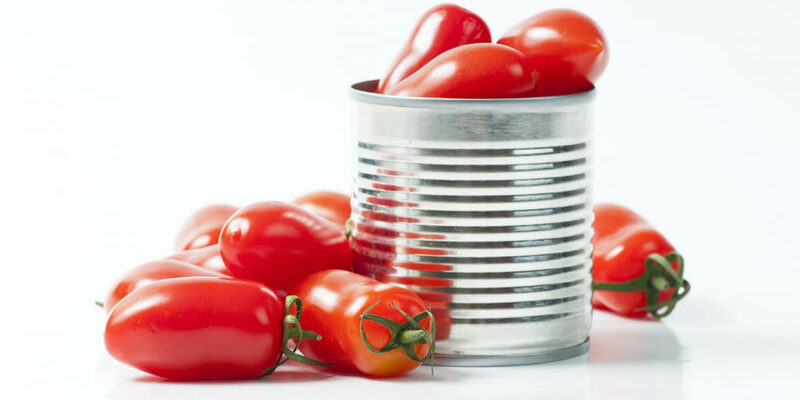 ESMA’s vision is to become Europe’s leading distributor organisation for consumer goods – we’re happy to be part of it. 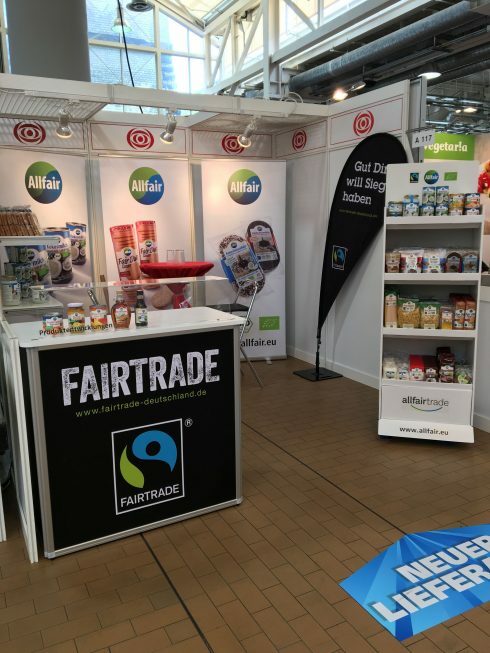 This year we will exhibit at the ANUGA trade fair! 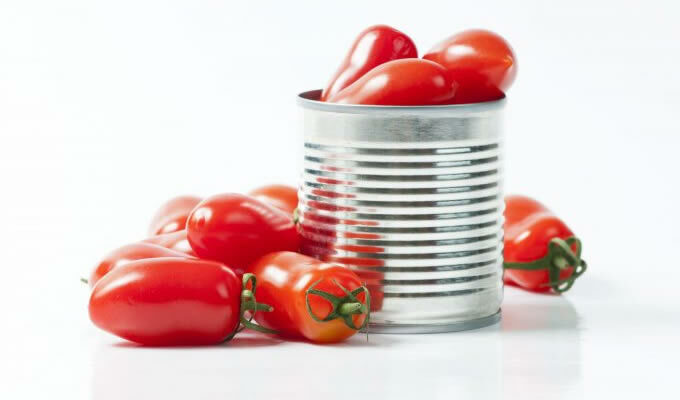 Worlds largest and most important trade fair for food and beverages. 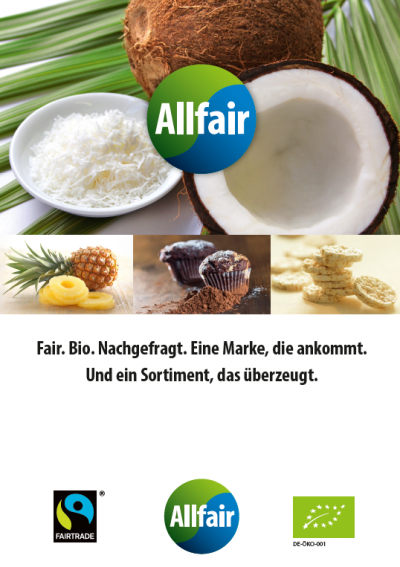 Find here our new Crunchy Bar Flyer! You can find us in Hall 5.1 Stand F-070. 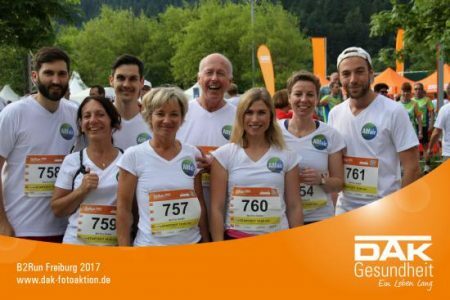 As it has become a tradition by now, our Allfair Team took part at the B2-Run event in Freiburg. Even though high temperatures and 5 km distance posed a challenge, every team member has reached the finish line successfully. Like the year before, we didn`t miss the chance to exhibit at the well known Markant Trade Forum in the beginning of April 2017. 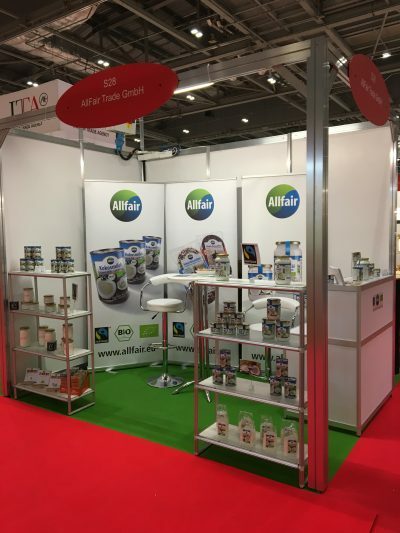 Between March 31st and April 3rd 2017, the Natural & Organic Product exhibition in London took place. 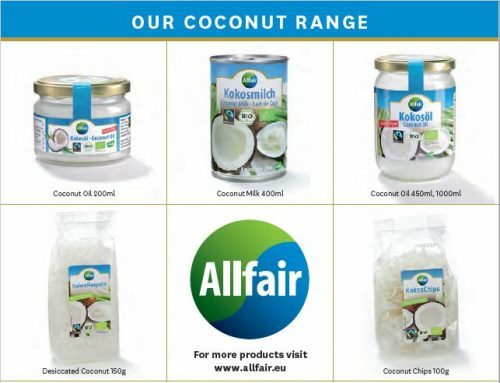 We attented the trade fair with our brand Allfair. During this occasion we showed our complete product range. 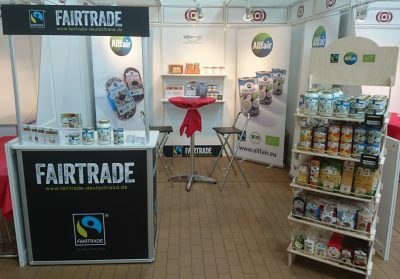 For the first time we exhibited at the Nordic Organic Food Show in Malmö, Sweden. In 2016 we attended for the first time on occasion of the 110th Markant Trade Forum taking place in Karlsruhe. 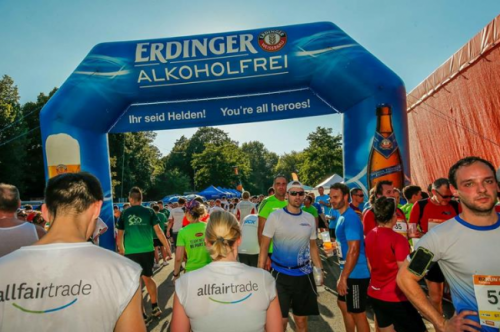 Despite extremely high temperatures on the day, our AllFair Trade Team took part in the B2-Run event in Freiburg in 2016. The finishing line was in Black Forest football stadium of the local football club „Sport Club Freiburg“.